Joe Smith is running for the Chattanooga City Commission. We endorse independent Joe Smith — the long-time Y-Cap youth leader — for the County Commission District 3 seat. Smith also has the endorsements of several former elected Hamilton County leaders, including former Hamilton County Mayor and Deputy Gov, Claude Ramsey, former U.S. Rep. Zach Wamp and former state Rep. Richard Floyd. 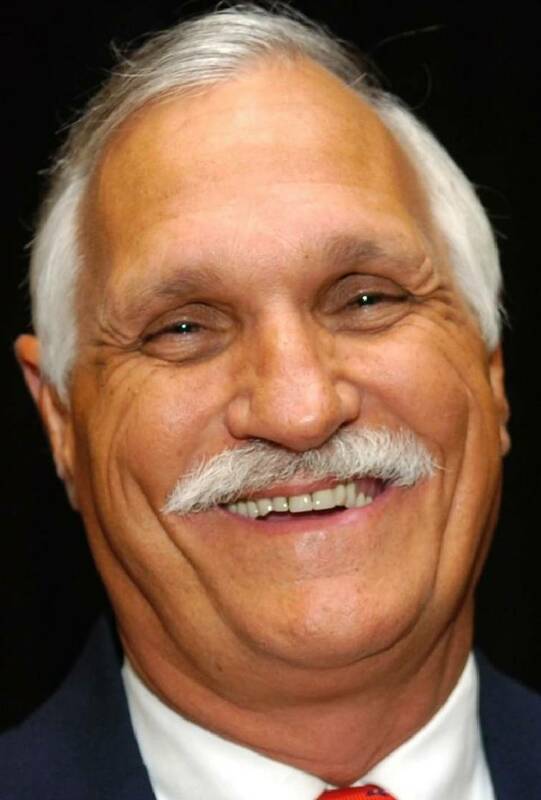 Smith, 62, faces opposition from Republican Greg Martin, the current Board of Education representative for the district, which includes Hixson, Middle Valley, Lakesite and Big Ridge. The seat has been vacant since Sept. 1, when Commissioner Marty Haynes took on his new role as the Hamilton County assessor of property. "I just want to serve," Smith says of why he is running. His son is taking over the Y-Cap ministry that Smith started in 1998, and Smith's concern for things he believes need improvement in the county led him to seek the commission seat. "I believe I can be a conduit maybe to get our commission and our school board working better together," he says, and likewise the county and city governments. "We need to work better together to solve problems. My passion is kids and family and community." He and his wife of 44 years have two children and have raised 19 foster children. And his ministry, a YMCA intervention program targeting adolescent students referred by juvenile court or the school system, is further evidence of his dedication to the community. Smith, who was raised in Red Bank and moved to Hixson shortly after he married, is well known to many radio listeners in region. He's the man who often says "Life is not our final destination," and "We're just passing through." He says he would put together an advisory committee to engage the community for ideas, then he would take those ideas to the commission where he would work to be both a fiscal watchdog and a peacemaker to bring needed change. While he would represent Hixson where he has lived most of his life, he also is knowledgeable and has many contacts in the inner city and other suburbs through Y-Cap that started with a budget of $40,000 and grew to an operation that now has a $1 million budget and three locations — including one in Bradley County. The program includes tutoring, mentoring and counseling. Students meet Monday through Friday afternoons, and family sessions are held twice monthly — sometimes with the child present, sometimes without. The program staff is so involved with the students that they sometimes pick up or drop off the children at school. Students may stay involved with the program as long as necessary. About 93 percent of Y-CAP students have improved their grades, and 96 percent of have improved their attendance at school. Smith says something must be done to improve the jail, which he visits twice a week to share his personal story of addiction and recovery. But he adds that he's not sure jail privatization is the answer, and he'd rather spend money on schools than a new jail. He also says he doesn't want to see the county raise taxes, but he won't rule that out. "I'd want to see figures," he said, "and look at every single alternative." He believes seniors should be protected against future tax increases. Ramsey says Smith is a conservative, honest and caring person. "Few people I know have given as much service to the citizens of Hamilton County as Joe, and he deserves the opportunity to serve the people of District 3." Wamp also praises Smith. "As a former Big Ridge resident, he has my wholehearted support and he has been a dedicated, committed member of the Republican Party," Wamp said, seconding Smith's contention that the commission should be nonpartisan and less party political. Martin, a Hamilton County native, graduated from Hixson High School, and earned a bachelor's degree from Bryan College, a master's degree and doctor of ministry degree from New Orleans Baptist Seminary. He returned to Chattanooga in 1999 and now works as a Realtor. He was appointed to the school board here in 2012 by a 5-4 vote from the Hamilton County Commission and won re-election in 2014. The winner of the Nov. 8 contest will serve the remaining two years of Haynes' term.